Artist Profile | Benjamin Jancewicz | Goldman & Minton, P.C. Benjamin Jancewicz is the owner of a small Baltimore-based design firm called Zerflin. His knowledge of typography and illustration from the business of creating logos and other design projects is transforming his artwork. He begins each piece with a hand-drawn sketch, using either a sketchpad or an iPad. He then slowly builds the image using layer upon layer of color. His focus starts in the shadows and he works up through the highlights. At that point, he transfers the work to the computer where he colors it, adds typographical elements, and refines it. Each piece, though created digitally, is one of a limited edition of ten. No further editions will be created once the original run is sold. 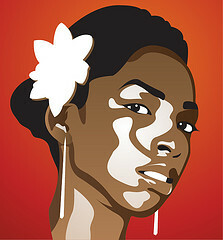 Shown here is a portrait of the beautiful Ebony Taylor. 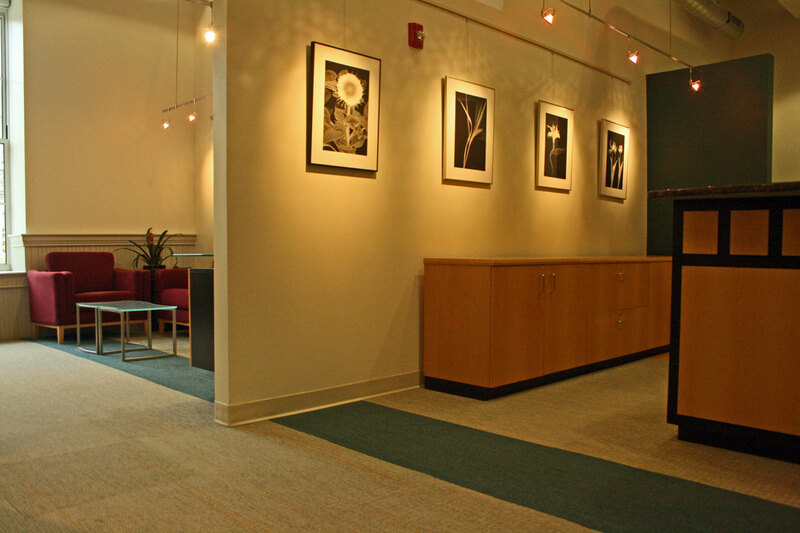 Goldman & Minton showed Benjamin’s work in its office gallery in the Fall of 2013.